What I believe to be an extremely important piece of information. It should be noted that when al Thumairy was interviewed by the 9/11 Commission, there were Saudi Government Minders present. I don’t know if that’s true with the other Saudi interviews, but it most likely is. I wonder how intimidating they are. The Senate on Tuesday approved legislation that would allow victims of the 9/11 terror attacks to sue Saudi Arabia, defying vocal opposition from the White House. The upper chamber approved the Justice Against Sponsors of Terrorism Act by unanimous consent. "This bill is very near and dear to my heart as a New Yorker because it would allow the victims of 9/11 to pursue some small measure of justice," Sen. Charles Schumer (D-N.Y.) said. "[This is] another example of the [John] Cornyn-Schumer collaboration, which works pretty well around here." President Obama has threatened to veto the bill. Schumer said he wouldn’t uphold a veto, and expects that most senators wouldn't, either. "I think we easily get the two-thirds override if the president should veto," Schumer said. Sen. John Cornyn (R-Texas) said he and Schumer are talking with leadership in both parties to get an "expedited" vote on the bill in the House. Announcing a new paper, "The Pentagon Event: The Honegger Hypothesis Refuted," by Victoria Ashley, David Chandler, Jonathan H. Cole, James Hoffman, Ken Jenkins, Frank Legge, and John D. Wyndham. The paper can be found in the Pentagon section of http://www.scientificmethod911.org or directly at http://www.scientificmethod911.org/docs/Honegger_Hypothesis_042916.pdf. Honegger's hypothesis is that no plane impacted the Pentagon on September 11, 2001, and that pre-planted explosives caused all the deaths and damage. Honegger also postulates that a large "white" plane was destroyed outside the Pentagon west wall without causing any damage to the wall. The authors of the above paper refute Honegger's hypothesis and show that the physical, eyewitness, radar, and FDR data, plus other data, all support impact by a large silver plane, a Boeing 757, and most probably American Airlines Flight 77, as the main cause of all the deaths and damage. Osama Basnan according to FBI Agents investigating the 9-11 attacks is a Saudi Government Agent with close ties to high ranking Government Officials. He is also "an ardent UBL Supporter". "has been in contact with UBL family members; ardent UBL supporter"
Richard Gage, AIA, of AE911Truth will soon begin a thirteen-city tour through the great Pacific Northwest. Gage will be screening the latest film, “Firefighters, Architects & Engineers: Expose 9/11 Myths”, and also will be presenting the landmark “Firefighters for Truth & Unity booklet”. Without a doubt, Firefighters are among the most respected public servants in any community. “North Texans for 9/11 Truth” would like to encourage individuals and groups to help in delivering the Ae911Truth message to their local Fire Stations. ANYONE can do something. ANYONE can get the word out about 9/11 to their local Firefighters. 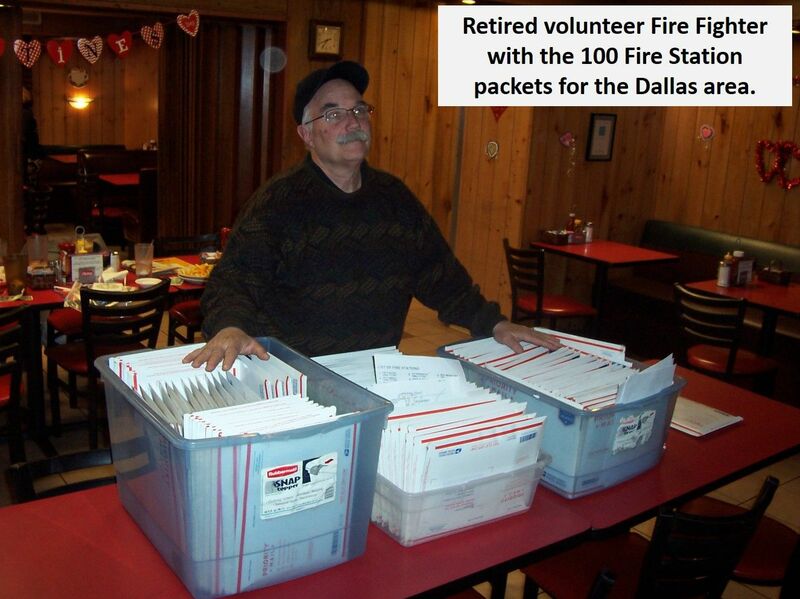 Below is our “Project – Fire Station Packets” which may give other people some ideas on what they can personally do. From our interactions with local fire stations, we have discovered that Firefighters are very receptive to this information. Many entries have been added to the Complete 9/11 Timeline at History Commons, which describe a variety of events relating to the 9/11 attacks, with numerous entries revealing new details of the events of September 11, 2001. Several new timeline entries describe training exercises that were held in the years and months before 9/11. In May 1998, an exercise was held at the Pentagon called Cloudy Office, which was based around the scenario of a terrorist attack at the Pentagon involving chemical weapons. In February 2001, the FBI's Washington, DC, field office started sponsoring training with local fire department and law enforcement commanders on how emergency response workers and the FBI should coordinate their actions if there was a terrorist attack in the Washington area. Just two or three days before 9/11, the Washington field office and various other agencies held an exercise in Northern Virginia, based around the scenario of a terrorist attack involving chemical weapons. And United Airlines, which had two of its planes hijacked on September 11, held a surprise exercise 12 days before 9/11 in which employees were led to believe one of their planes had crashed.